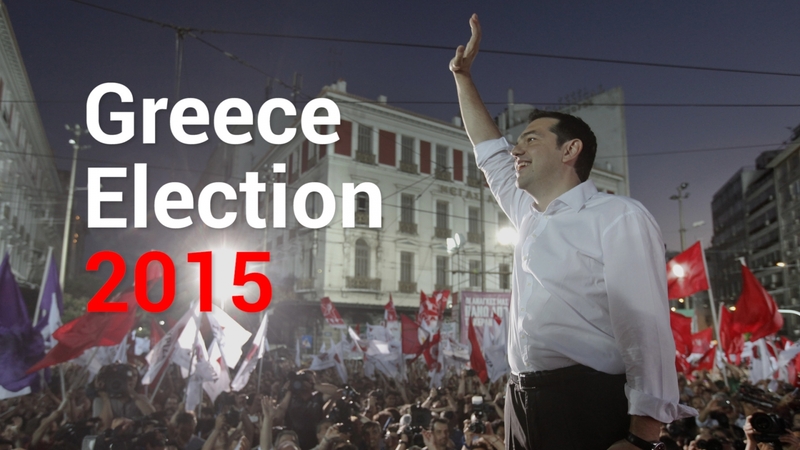 So anti-austerity Syriza wins elections in Greece, so what? Stupid kippers on twitter are already dancing on the roofs of their Vauxhall Vivas, without realising the damage they are doing to their paintwork. But what should the EU’s response be, when victorious party leader Alexis Tsipras comes to Brussels to renegotiate Greece’s debt? I think his creditor’s should tell him to “F*ck off” in the most polite way possible. And those holding Greek state bonds paying 6-8% interest should be told just as polite to write them off as junk bonds! Just like a state’s bad behaviour, risk taking by dumb investors should not be rewarded. I have always learned that if as a saver you give a risky business a loan, you get compensated for that risk by receiving a higher interest on your loan. You accept the risk that there is a small chance you might not get your money back. If risk averse, buy German state bonds. If the EU lets the unscrupulous lenders rake in their 8% Greek loan coupons, plus guarantees to compensate them for their eventual loss if Greece defaults on their loans, than that rewards unresponsible spending, lending and borrowing by states. Who holds those high risk bonds anyway? In all likelihood they are held by the richest 1% of this world, who can well afford to loose some of ther wealth. Not us poor average EU tax payers. 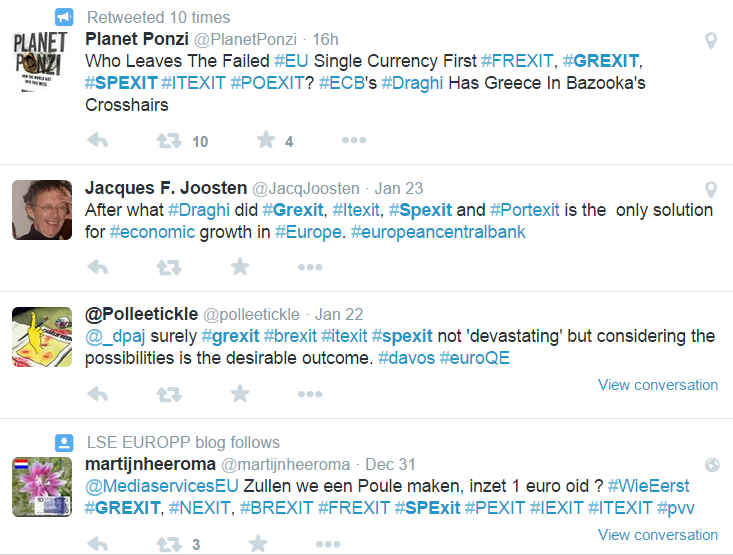 This entry was posted in #brexit, EU and tagged #brexit #euro, #grexit, EU. Bookmark the permalink. A few months later it looks like my worst fears have come true….